Here's a great story about someone served by Imagine! making a positive impact on the community of individuals with intellectual and developmental disabilities and their families. 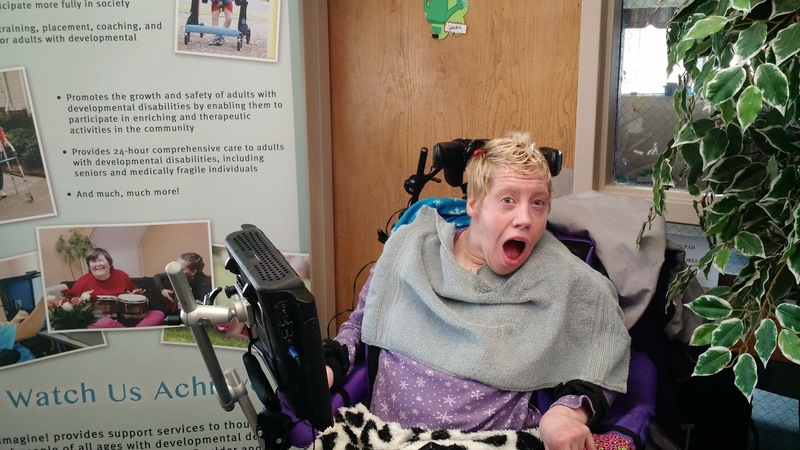 On Monday, Shelly, who receives services from Imagine!, and staff members from Imagine!’s Innovations department attended a Community Provider Fair for families who have family members living in Wheat Ridge Regional Center. 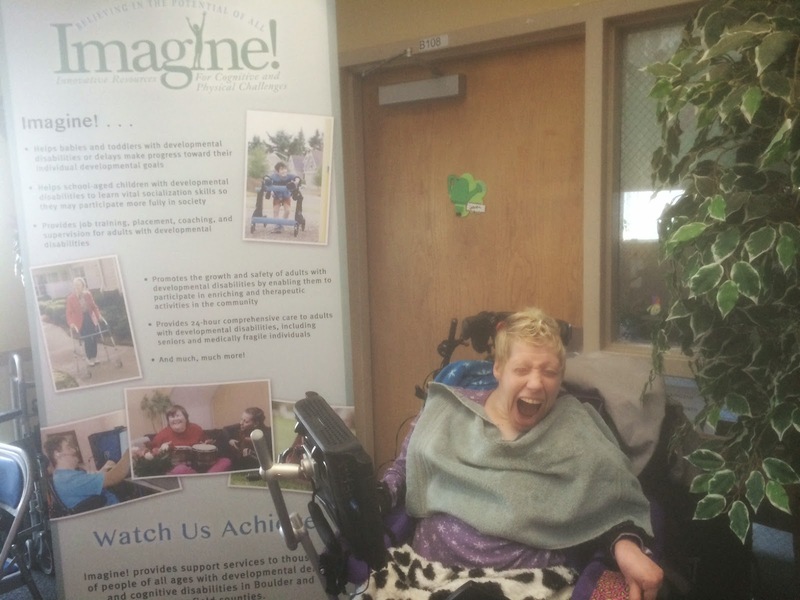 Shelly acted as an ambassador at Imagine!’s information booth and shared her story about successfully moving out of Wheat Ridge Regional Center to a more community based setting (Imagine!’s Charles Family SmartHome). Shelly did a fantastic job adding new content to her Dynovox (her computerized communication device) and really enjoyed the chance to share. Great work Shelly, and thanks for helping out!